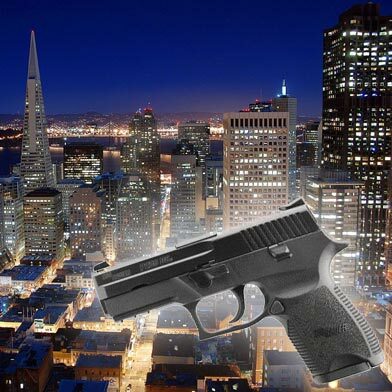 12/28 1:45 PM: A 15-year-old girl was standing with a group of friends in San Francisco’s Western Addition neighborhood Tuesday night when a gunman opened fire, striking her in the leg, a police spokesman said today. The shooting was reported at 8:39 p.m. in the 1800 block of Eddy Street. The girl was with her friends when she heard several shots, then felt a sharp pain in her right thigh and realized she had been shot, police spokesman Sgt. Daryl Fong said. The girl was taken to San Francisco General Hospital to be treated for her injuries, which are not considered life-threatening. Fong said. No one else was injured by the gunfire but a car parked nearby was also struck, he said. No arrests have been made in the case and no suspect description was available today, Fong said. Anyone with information about the shooting is encouraged to call the Police Department’s anonymous tip line at (415) 575-4444 or send a tip by text message to TIP411. 12/28 9:52 AM: A 15-year-old girl was shot in the leg while she was walking in San Francisco’s Western Addition neighborhood on Tuesday night, police said today. The girl was shot in the upper right leg. She was taken to San Francisco General Hospital to be treated for her injuries, which are not life-threatening, according to police. No arrests have been made and no information about the shooter was available yet, police said. Anyone with information about the case is encouraged to call the Police Department’s anonymous tip line at (415) 575-4444 or send a tip by text message to TIP411. 12/27 9:48 PM: One person was hospitalized after a shooting in San Francisco Tuesday night, a fire dispatcher said. The shooting was reported at around 8:40 p.m. near Divisadero and Eddy streets. The victim was taken by ambulance to San Francisco General Hospital. Information regarding the victim’s condition was not immediately available.